Exposure to harsh, natural weather elements are the biggest threat to your roofing system. Temperature extremes can quickly destroy your roof surface if not maintained. There are many forces coming together to bring damaging destruction to your residential roofing in Dallas; wind, temperature, rain and snow can all have it’s effect on the roofing system. 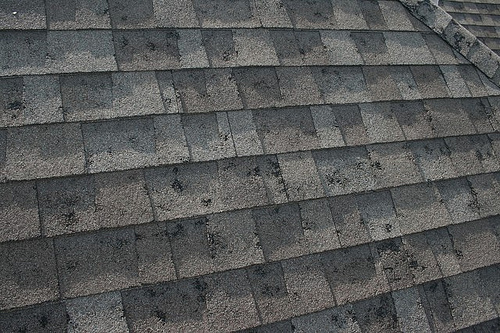 When hail impacts asphalt shingles it can remove granules that wear down and fracture the shingles. These common factors that affect the type and degree of damage that may be impacted by a hailstorm include wind speed, size and density, natural barrier blocks like trees and roofing system and materials. Inspecting the roof to determine if the damages were a result of hail differs depending on your type of roofing. 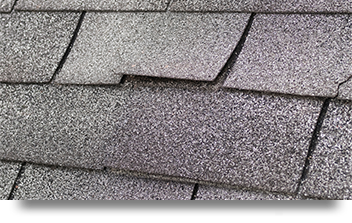 Asphalt Shingle Damage: On an asphalt roof, hail damage looks like a dark spot, where the granules have been blown away, you’ll notice a buildup of granules in the gutters. Unfortunately it may leave you finding missing or cracked shingles on roofs with hail damage. This can result in leaking and serious water damage. 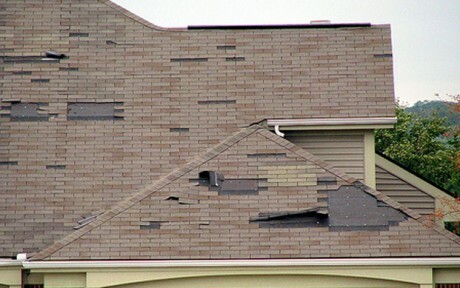 When hail comes with a severe wind storms, it is common for shingles or sections of the roof to be missing altogether. Other Types of Shingle Damage- Shake (wood), metal, tile, and slate roof shingles: Each of these roofing materials can all suffer damage from hailstorms. Dependant on the materials, each type of shingle shows unique signs of damage from hail like cracked shake or tile, missing tile, or tears and splits at the seams. If there is leaking water in the home, call Elite Roofing and Consulting immediately for a free roofing inspection to assess the water damages inside the roofing structure and in the home where the water has been found. In severe wind storms, it is common for shingles or sections of the roof to be ripped off and damaged, leaving missing shingles. As wind moves over a roof, its effect is not uniform. Certain area of the structure will be prone to higher wind pressures, such as along the perimeter. Depending on the direction of the wind, the low-slope or shape of the roof and the exact location on the roof, there will be suction, a negative pressure or pushing, a positive pressure. Negative pressure of the wind is going to raise loose shingles. After the wind has snuck beneath the shingles, it’s easy for the pressure to pull up the materials. Once the underside of the roofing is exposed rain easily seeps into the decking, but it also gives the wind more grip on the shingles around missing or torn materials. When water gets underneath shingles or other roofing materials, it can seep below the roof deck to the roof structure, causing it to rot. Extra moisture festers allowing mildew and rot elsewhere in walls, ceilings, insulation and could even seep into electrical systems. Exposed roof nails, and previous rain, wind, and hail damage all provide avenues for water to seep into your roof decking. Roof flashing is an alternative roofing method that keeps rain storms working with high winds from penetrating seams on your roof. Any small flaw previous caused by weather damage will allow water to leak into your home. Elements such as roofs and pavement exposed to sun can bring up temperatures 50–90°F hotter than the air. Heat and ultraviolet rays cause roofing materials to deteriorate over time. The sun does significant damage to roofs over time, and even the more sun-resistant roofing options for homeowners such as tile or metal roofs eventually become affected by the damaging rays. Your roof has constant exposure to UV rays which cause damage by discoloration of roofing materials, additionally exposure to pollutants accelerate the process. To keep your roofing color vibrant, speak to your Dallas roofing contractor to learn about pigments, including organic pigments, that hold up well against long term sun exposure.